The wait in line to charge my phone and portable charger, combined with the time it took to actually charge them, ate up a lot of my rest time. I spent most of the four hours with Debbie and Pete (we were all charging phones and/or portable chargers), but eventually my legs started to get really tired so I asked Pete to watch my devices and went to back to the tent to try and take a nap. The temperatures had already started to fall to the 50s by that time and we were expecting temps in the 40s overnight. Ragnar Trail Tip #7: Bring lots of layers. 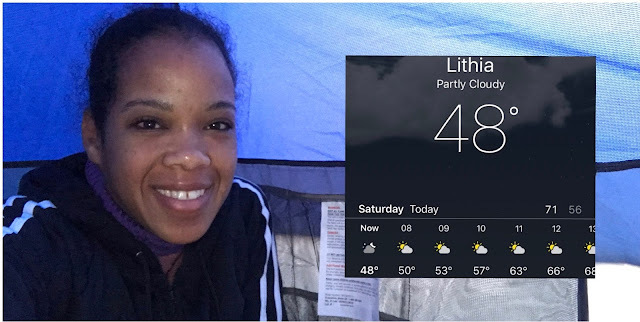 No one wants to be too hot or too cold when trying to sleep in a tent in the outdoors. Clothing layers are essential to helping you regulate that, especially in Florida where the weather is a bit bipolar. My evening nap time clothing of choice involved layering with long sleeve shirts (2), sweaters (2), long pants (3), and socks (2). I also had ThermaCare heat wraps warming my tummy 😊. but really all I could see were bobbing headlights. Eventually Debbie came, handed the team bib over to me, and I started my second leg. Now would be a good time to remind you that I'm afraid of the dark. So when you think about the combination of the most challenging loop + the really cold weather + the dark, you would assume that this leg was going to be awful correct? Well... you would be right. I'm kidding! The red loop was challenging but not awful. There were lots of narrow paths and lots of ups and downs on this particular loop. Ragnar Trail Tip #8: Look down (but not all the way down). There were cliffs and critters out there on the red loop; neither of which you'll want to become familiar with. I overheard other runners commenting on "how far down the fall looked" while I was waiting to start my leg, so once I actually started I decided to approach the loop with extra caution. The only benefit to looking down the side of a hill/cliff/embankment is to determine if there is anything that you can use to break your fall, or to determine what the duration of your screams would be before you reached the bottom. If neither of those options are appealing to you then don't look down and... DON'T FALL! 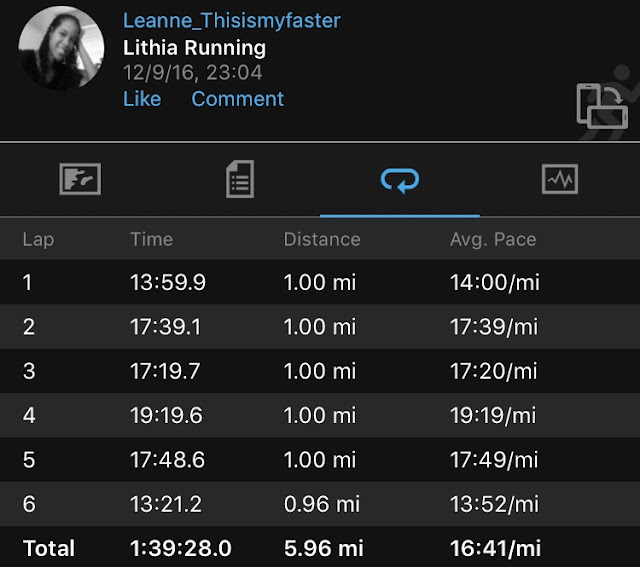 I was already nervous about my ankle, and even though it was feeling ok, the fact is I had previously rolled my ankle on the easiest loop. So navigating the hardest loop at night, made me a bit apprehensive. Also, I could only see a few steps in front of me, despite having a really powerful headlamp and two handheld flashlights. It was dark very dark. My goal was to not fall & not get injured, and that required me to focus on exactly where my feet were landing. Focusing on the location of my foot fall actually distracted me from my surroundings a bit. The suspicious rustling in the bushes or the shadows moving in my (very limited) peripheral vision were terrifying, but only mildly terrifying. And the bridges were... interesting. I was determined to finish the red loop alive and in one piece, and I was feeling good about it too... until I got to mile 3. Thankfully I made it through the loop with no major injuries. I tripped a few times but didn't fall, and I rolled my ankle a couple of times but didn't sprain/strain it. As I was coming into the Transition tent the race organizers advised us that the power was out, so no teams knew how soon their runners were going to arrive. Fortunately, my teammate Jairo was already there waiting for me so once I gave him the team bib I headed back to camp. After another "shower pill" shower, I put back on my triple layer sleep attire and headed to bed. I was exhausted! As the morning progressed the weather got warmer, and our team got closer & closer to the "unless you sprint these legs at a pace that rivals Usain Bolt you will not make the cut off" point. 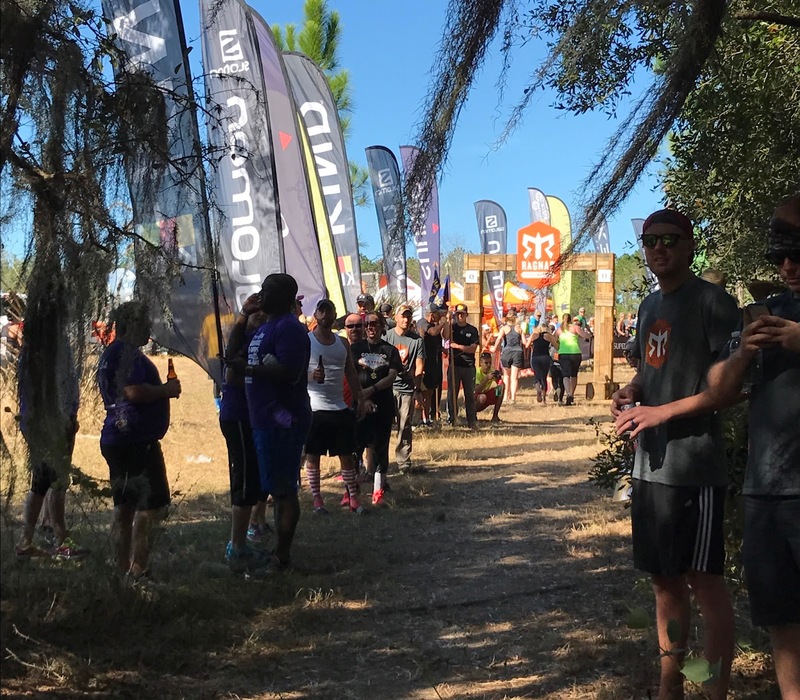 Ragnar Trail Tip #9: Be flexible. 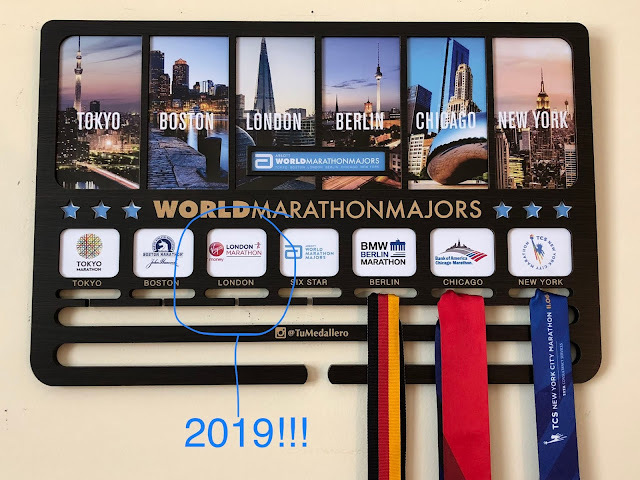 It doesn't matter how organized you are, how Type A your personality is, or what degree of OCD you possess, when it comes to being on a Ragnar Team (and, you know... for life in general) you need to be flexible. The Ragnar Admin tries really hard to work with teams and ensure they get their runners through the course. Sometimes that means having several team members running together on a loop. - I was supposed to run the yellow loop next (for my third leg as runner #4) and Kelly (runner #7) was also supposed to run the yellow loop for her third leg. So we were going to run the yellow loop together. - Mary (runner #6) was supposed to run the green loop as her final loop. This meant she should have been out on the course with Debbie. But that opportunity had already passed so Mary got stuck having to run the yellow loop again, but this time she would run it with Kelly and me. - Both Jairo (runner #5) and Amber (runner 8) had the red loop to run for their third and final legs. They would therefore need to run together as well. The yellow loop was definitely my favorite loop. It was the shortest of the three loops and the time (& miles) flew by quickly while Mary, Kelly and I were out there. We spent the entire 4.5 - 5.1 miles (our watches all varied) laughing and talking and coaching each other through difficult areas on the trail. This was probably one of my favorite things about the race. Before we knew it we were done, and Amber & Jairo headed off to complete their last leg on the red loop. After my last "shower pill" shower for the weekend, I got dressed, returned the Solomon trail shoes, bought a few gift items at the Ragnar store, ate some food, and waited for Amber to text us and let us know when we should head to the arch. "...together we ran Ragnar trail. Together we can accomplish anything. We are RAGNARIANS"
So... would I do it again? YES! 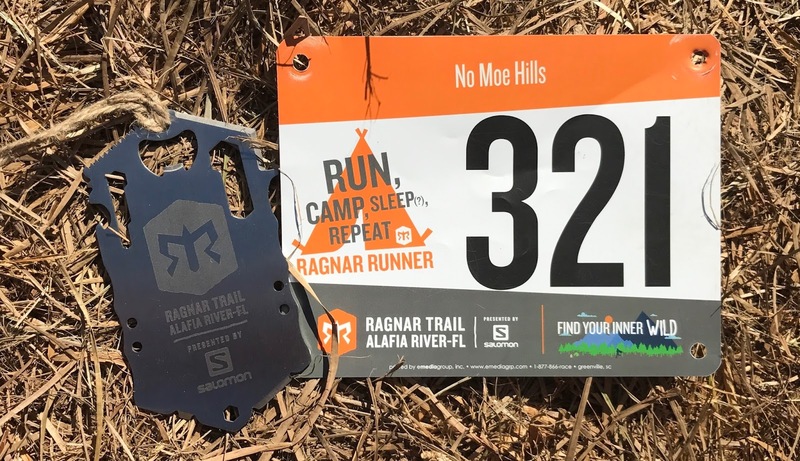 I want to do at least one Ragnar Relay and one Ragnar Trail every year. And if you haven't tried Ragnar, you really should. It is a life changing experience (for the better, I promise) and you will find that you are capable of doing things you never thought possible. Ragnar is about more than running... it's about experiencing something you won't find at a traditional race. It's about having an adventure... one that you can only find "if you are looking for it". Wow!! I just can't.. LOL. This sounds so crazy! That night run sounded terrifying! Kudos to you for doing this! And the camping and everything!! I think I wold have had a meltdown and wanted to go home after that overnight and having to get up and run in the dark hehe.